Morse Law Group is a recognized family law firm in Phoenix. 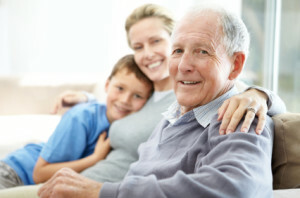 A guardianship and conservatorship attorney in Phoenix. Guardianships and conservatorships allow a party to take over the custody and property of a person, whether a child or an incapacitated adult, found legally unable to properly manage his or her own affairs. For many, this is a path to temporarily taking over custody of a child in need; for others it is a way to make sure that an incapacitated parent is safe from fraud or abuse. In other cases, individuals are claimed to be incapacitated or unable to manage their own affairs unfairly, and need to fight against zealous and unfounded accusations. In all cases, it is important to work with an experienced lawyer who understands the legal standards that will define guardianships and conservatorships, and can help you establish a guardian or conservator. At Morse Law Group, we handle these matters for all parties, whether you are seeking to establish a guardian for a child or you are trying to obtain control over your parent’s legal, medical or financial affairs. Adult guardianships put an incapacitated ward in the custody of an adult petitioner. Conservatorships grant a petitioner legal custody of a ward’s estate. Often these are the tools that children or loved ones invoke to intervene in the life of a parent with Alzheimer’s or who has been seriously incapacitated by illness. However, the potential ward can challenge the petition, or another party may come along and state that they have a better claim to guardianship or conservatorship. When these issues become contested, you need a lawyer who understands the law, who has experience building a case and who can represent your interests. Judith A. Morse has been litigating for over 30 years, and has made issues of custody and guardianships a priority in her practice. In uncontested cases, parents who know they are unable or unwilling to care for their child can transfer temporary custody of a child to a caregiver through a guardianship or conservator ship proceeding. These are strong tools that can temporarily and voluntarily grant custody of a child to another capable adult. Potential custodians can request guardianship of a minor prior to the child becoming a ward of the state, avoiding dependency. If it is clear that a parent is incapacitated or unable to care for a child, then the petitioner, usually a grandparent, aunt or uncle, can seek to care for the child. Our family law attorney is skilled in litigation with over 30 years of experience, and our office has made issues of custody such as guardianships and conservatorships a priority in our practice. We can help you by filing petitions, building a case, and arguing in court. Contact us today to put our ability and experience to work for you.